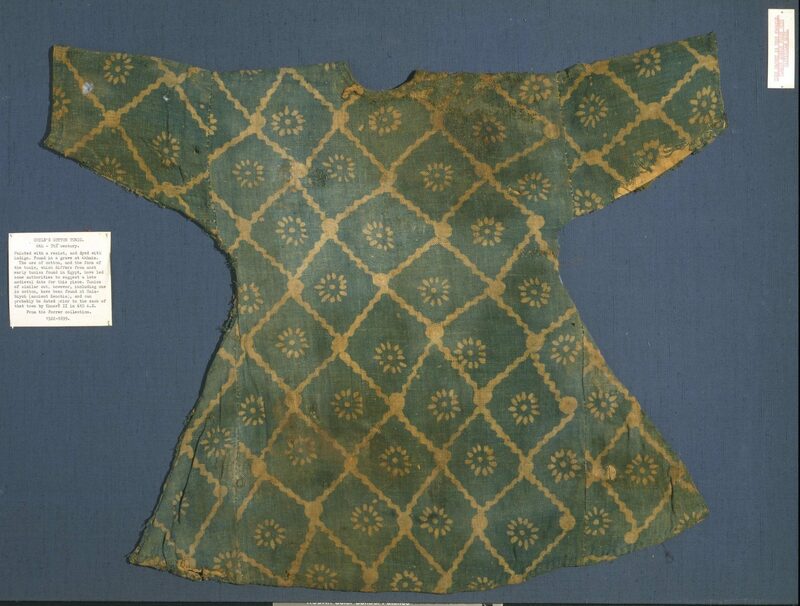 This textile is Egyptian, made between the 10th-15th century C.E. It is a base fabric of plain woven linen, embroidered in double running stitch in blue and brown silk. The textile is 21 cm high by 18.5 cm wide, with three rolled hems. 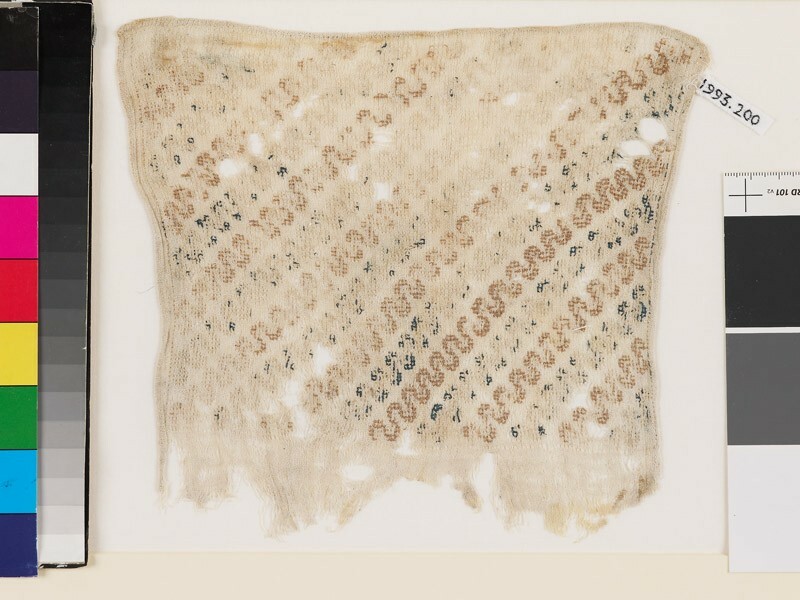 It is likely that this is a decorated end of a larger textile, possibly a sash. The textile is currently in the Ashmolean Museum. 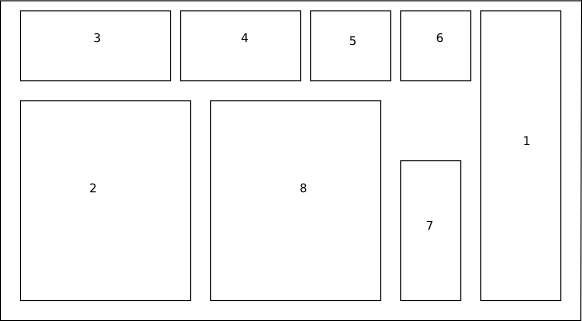 There is not much left of the original embroidery, so I extrapolated what the chart would be completely filled. Please let me know if there are any issues downloading the PDF. Your research is truly a treasure. Thank you for sharing the results of your studies and even to make readily available sewing patterns which you have extracted from the textile fragments. I’m Romanian and have travelled the world only to have settled, for now, in Austria. I believe the distance was instrumental towards an increased interest in my own roots. And not only as a person, but as an element of a culture which travels far further in time and space than we might tend to think. I’ve found elements which are beyond common, nearly identical, among your textile samples, with those in the Romanian embroidery.